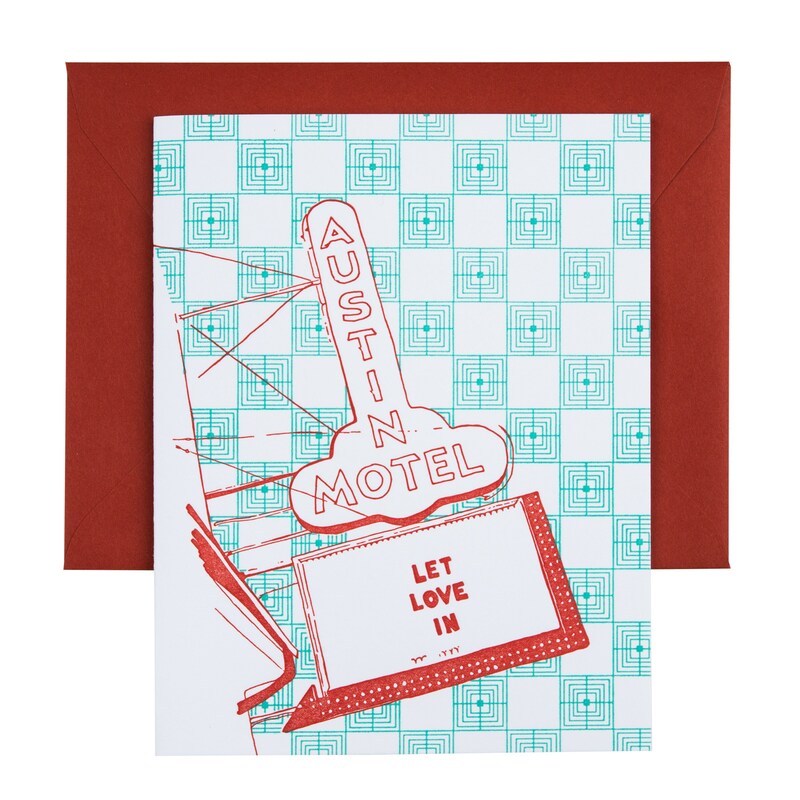 Austin is full of history, icons and stories. 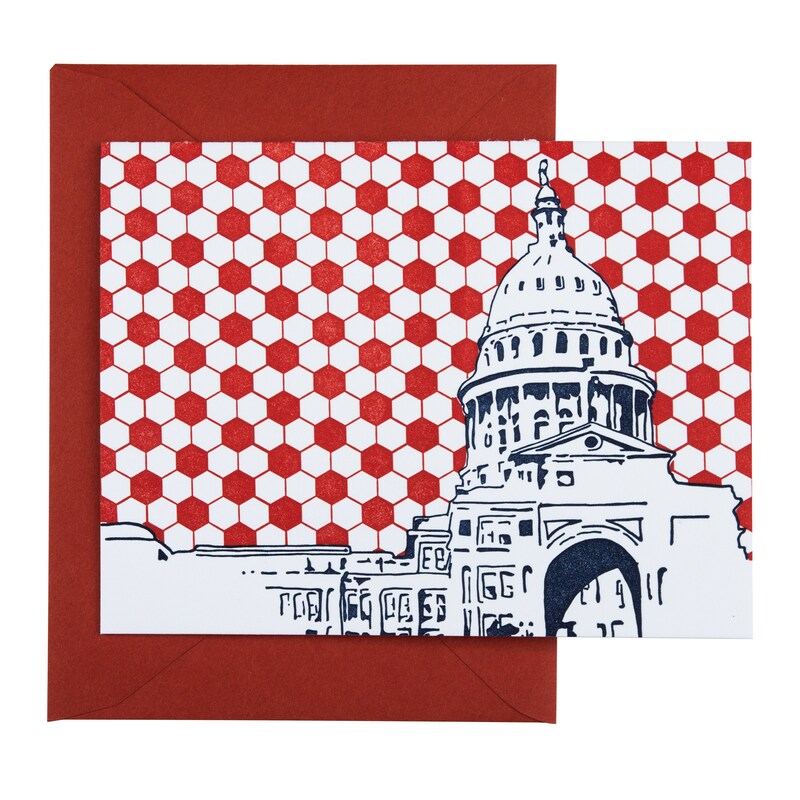 This mix pack includes 5 Austin neighborhood cards. 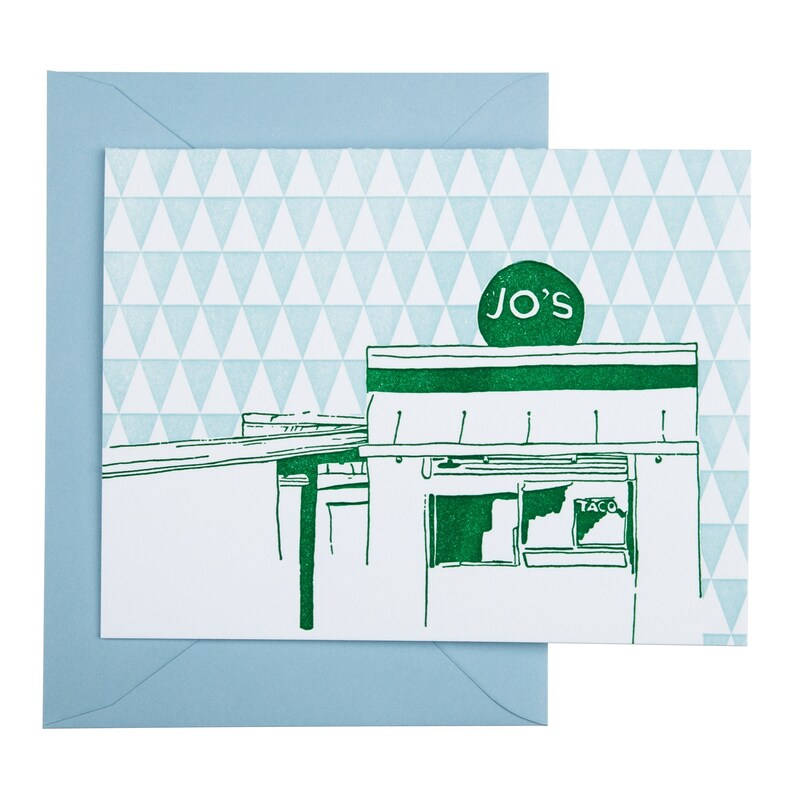 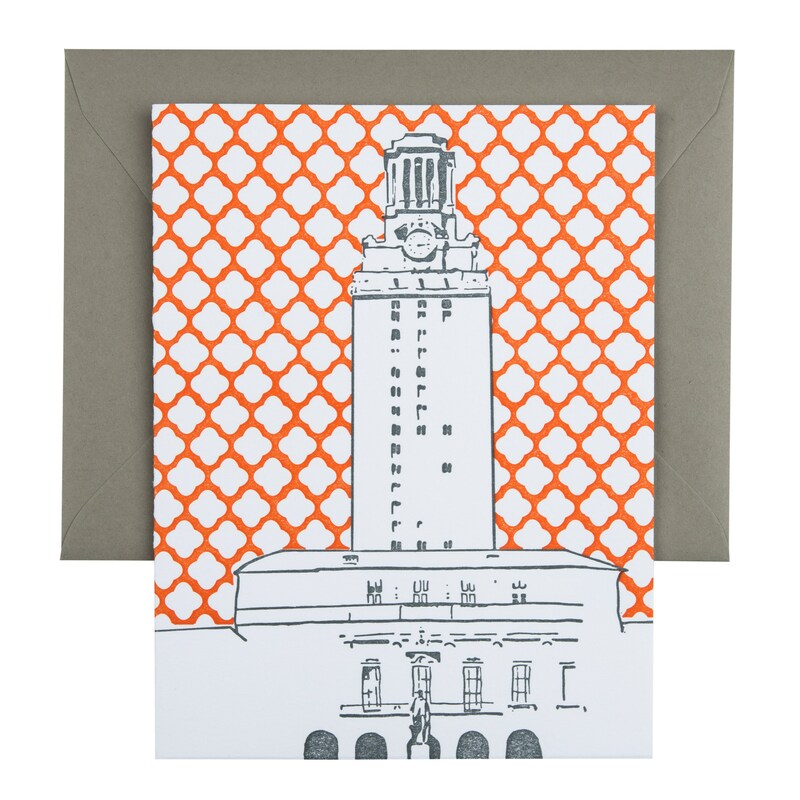 Each card is 2 color letterpress printed fold-over card with a colored blank envelope. 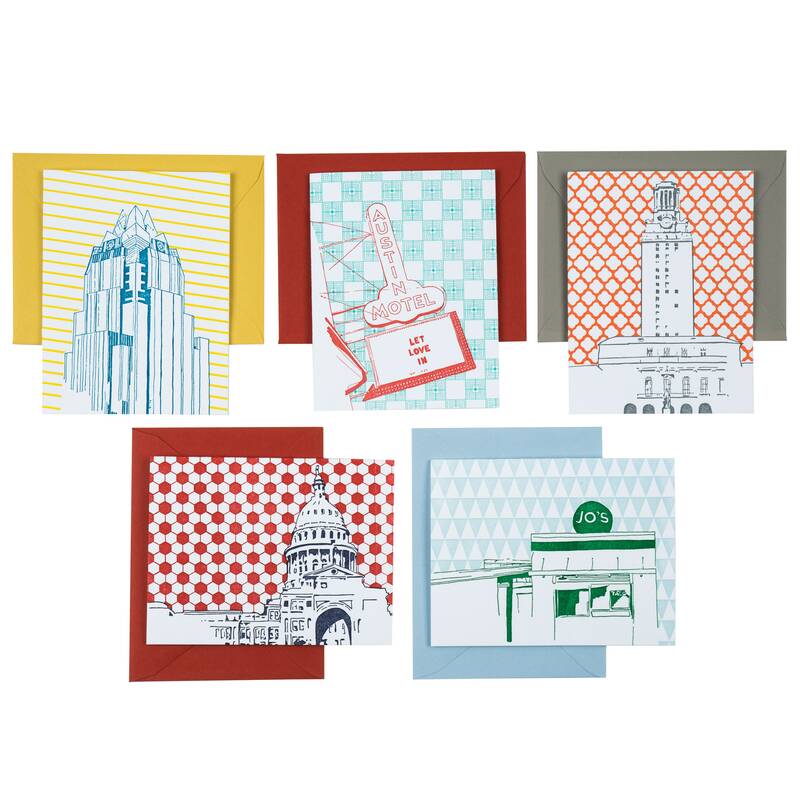 Each card has a short blurb on the history of either the location or neighborhood the card is illustrating.